This section will detail some power and speed enhancements. While the overall gearing of the automatic transmissions is an improvement over the manual F20's 1st gear is still a bit short to be of any real use with any sizable increases in power. 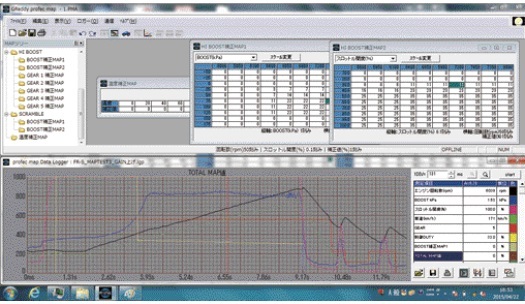 To combat this I will be changing the drive chain sprockets in the transmissions from 32\38 teeth to 35\35 teeth from a different variant used in the US on the larger engine capacity vehicle, this will change the final drive from 3.91:1 to 3.26:1. This will also aid in top gear cruising ratio's, the table below shows the outcome of the change. 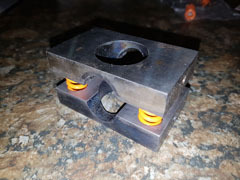 These are the 35T sprockets that will be used during the rebuild to change the FD ratio. Will add a picture of the originals for comparison once removed. 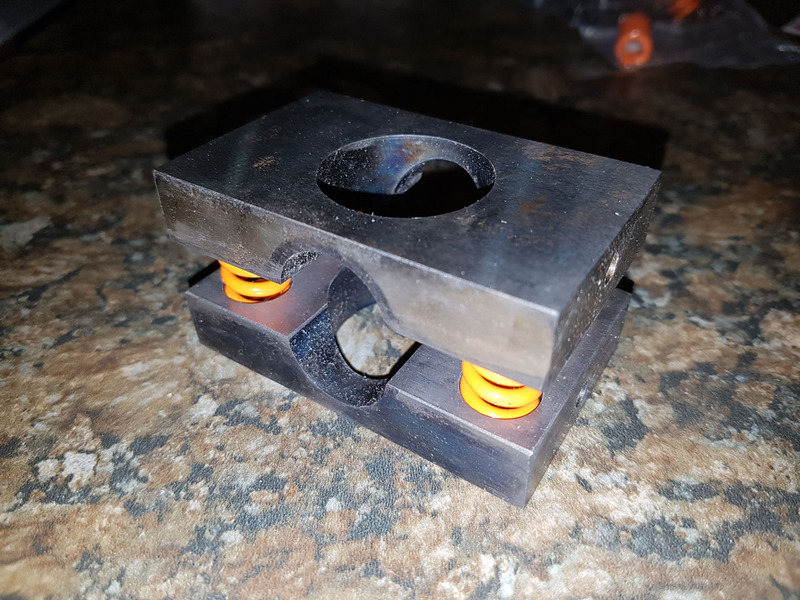 The options for this item are extremely limited for these automatics, the majority are simple sprung plates which work against the spider gears in the open differential to emulate a plate LSD function but relies on friction between the spider gears and the casing. 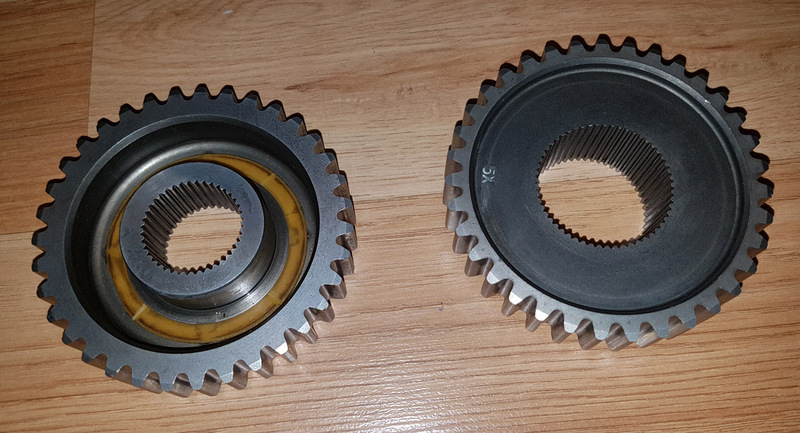 The other option is similar but a modified solution which fits small clutches between the spider gears and the casing which is a little more enhance that the basic sprung plate design but the same pricipal. There is quite a significant price difference between the options so still investigating which to go with on a low mileage use car. Based on my research into these options I will be going for the Team Green LSD, while this is the more basic option it appears to be fine for the purpose required. If the car was a daily use vehicle expected to see high mileage then the more expensive clutch converted item would have made more sense. Will add more pics when installed. The pysical side of the transmission is already fairly robust and should cope with the amount of power that will be thrown at it in a car of this weight, the weaknesses are primarily in the clutch friction material and the torque convertor. Due to this I will as part of the rebuild source uprated clutch packs and an uprated torque converter. Once the engines are rebuilt I will be wanting to run likely around 1.5bar of turbo pressure for the planned 300-350hp output. 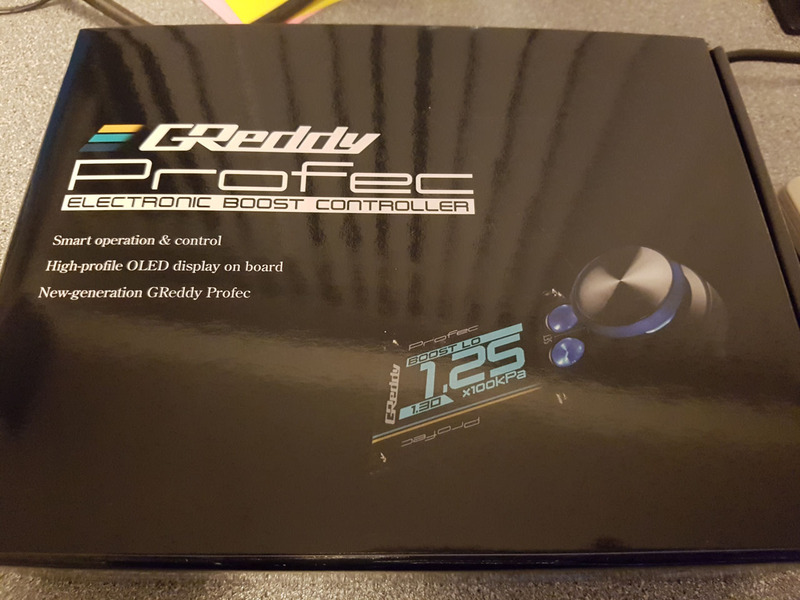 In order to do this in a controlled manner I have opted to purchase a couple of digital boost controllers, in this case the newer Greddy Profec. 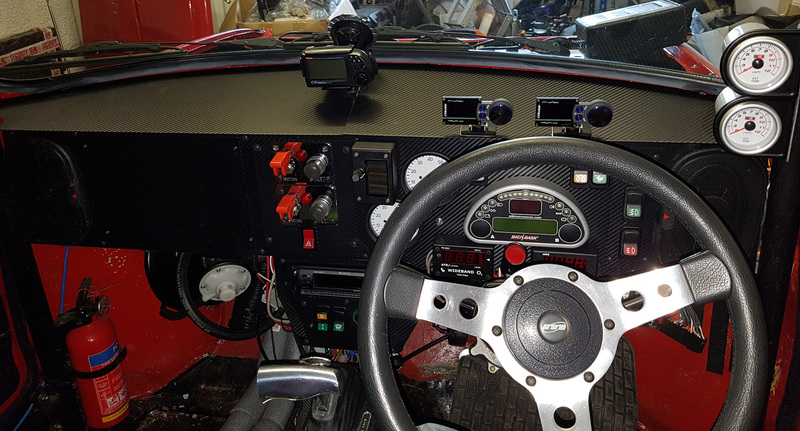 I used to have an Apexi AVC-R in the Skyline which was brilliant but the greddy is so compact it was much more suitable with little dashboard space remaining available for yet more gadgets. 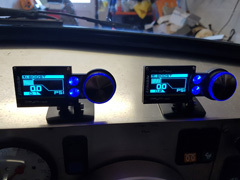 These will then allow me 3 different boost setting off (actuator pressure) low and high along with a scramble boost setting should I want to add a timed overboost option. 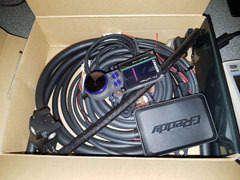 This unit also has the capability to perform as per the Apexi with variable boost against rpm with an additional module added but for now the default will suffice. 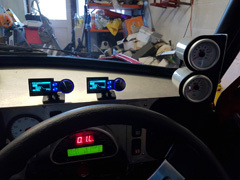 All installed ready to go, have removed the old mechanical boost gauges too which looks much tidier and they were blocking visibility a bit too when there were four mounted on the side. 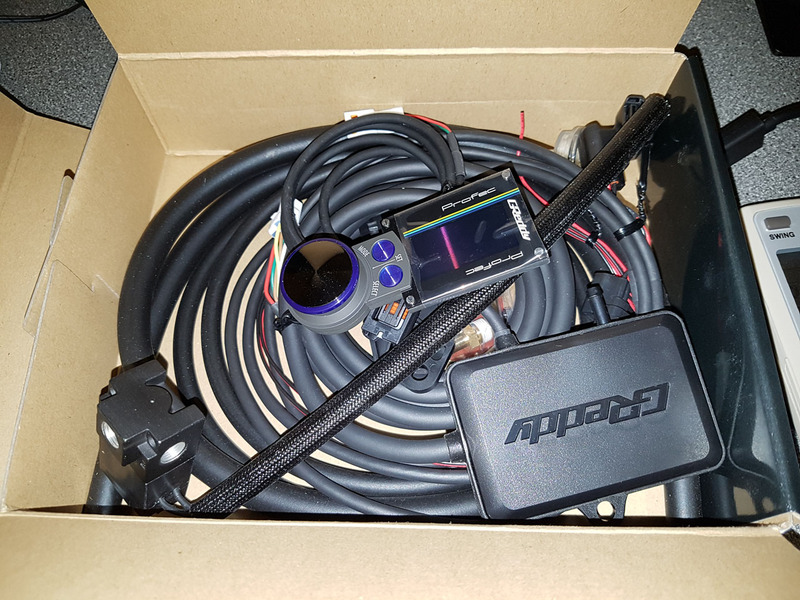 I have also now purchased the map module upgrade for the boost controllers, this will allow RPM and TPS based boost mapping similar to an ignition\fuel map. 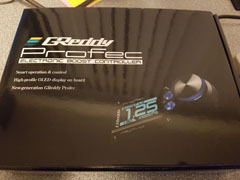 This may enable more boost to be run at higher rpm ranges where the higher compression currently won't cause pre-ignition but such a boost level at a low\mid RPM could cause this issue. The engines were already strengthened in the original build so this will primarily be a refresher build with the addition of new pistons to complete the setup by lowereing the CR to around 8:1. The dashboard was looking a bit scratched up after quite a few years and also still very prototype looking. In the sun it also had quite bad glare off the top panels. Was originally going to make new panels from carbon fibre but this wouldn't be cheap and also quite time consuming so opted for now to use carbon wrap. Doesn't look too bad actually, much better than scratched up aluminium.